MMA H.E.A.T. UFC 236 Watch Party + LIVE Podcast » MMA H.E.A.T. Starting at 6:45pm PT, we’ll have giveaways before every fight on the main card!! No Comments on "MMA H.E.A.T. 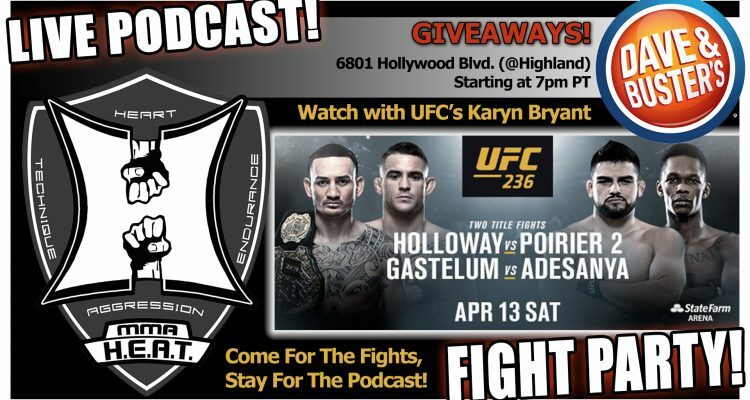 UFC 236 Watch Party + LIVE Podcast"